We don’t usually think of a wedding and a barn in the same breath. After all a wedding is a time to celebrate, get dressed up and take a bunch of photos during the process. So why would we think of a barn? Isn’t that a place where animals live and sleep? Doesn’t it smell musty and need to be cleaned on an hourly basis? How on earth would you turn it into a wonderland worthy of a glamorous celebration. We asked ourselves the same question. Then we found a Bride who did exactly that. 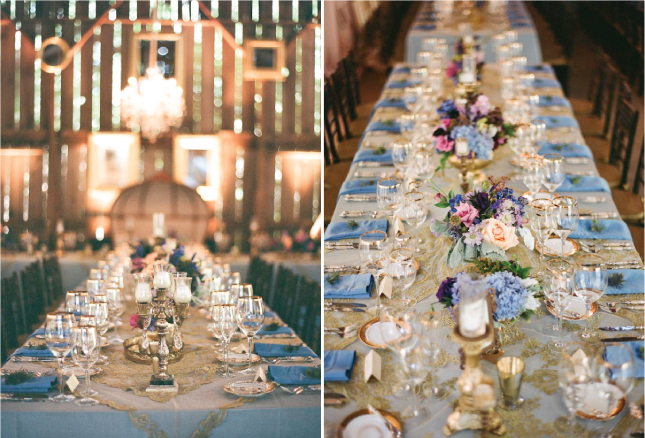 What started as just an ordinary barn, became a glamorous place for a celebration. 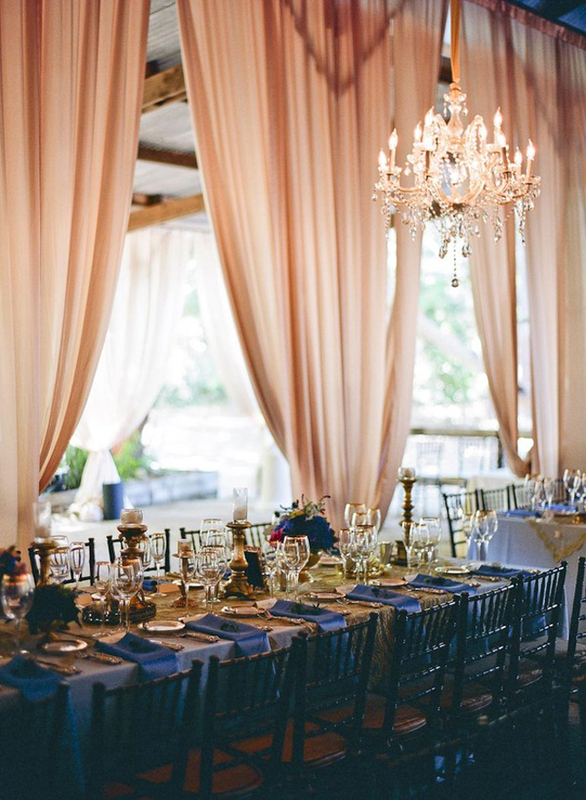 The draperies, chandelier and perfect little details are stunning. You might expect to see burlap and twine as accent decor, but this couple wanted a more royal feel to their special day. They were able to acheive that by adding accents of gold and soft touches of hand embroidered lace on the table linen. The draperies created a soft romantic feel to the barn, and masked the hard cold edges of the open stall doors. Everything tied wonderfully into the barn. So much so, that we found we hardly noticed it. What do you think? 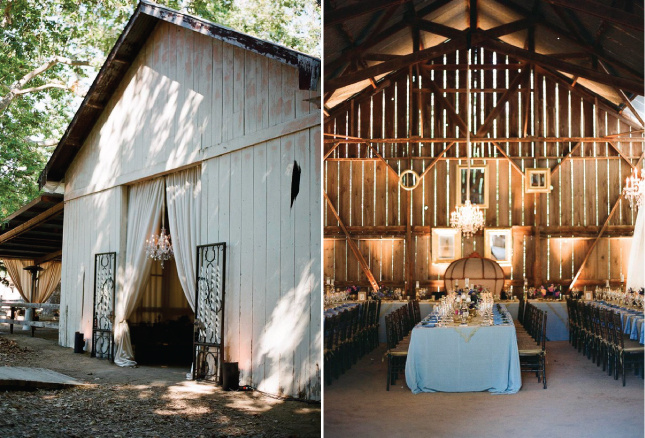 Would you get married in a barn?